At Save on Laptops we are celebrating 22 Years in Tech. We are experts in what we do and are passionate to the core about everything Tech. We have specialised in selling online for over 13 years and appreciate delivery and service set us apart from our competitors - helping us achieve positive feedback with 98% of our customers stating they would buy from us again. 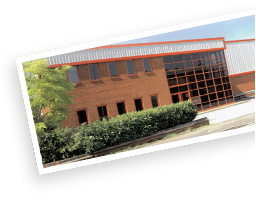 We despatch thousands of products every day from multiple warehouses. We carefully select the best couriers including DPD who now offer free 1 hour time deliveries Monday - Friday whilst despatching up to 11pm at night on selected products) and offering timed morning deliveries at a small additional cost. In real time we display our lowest delivery price available in our delivery options on the product page. As you continue your shopping journey the delivery options displayed will update as your basket changes. *Excludes remote areas of the UK including the following postcodes: AB30-38, AB41-56, FK17-99, G83, HS1-14,IV, KA, KW, PA, PH, ZE. Charges may apply for large or bulky items. **Where applicable. We use a range of delivery services, including DPD, UK Mail, Royal Mail, Hermes and UPS, dependant on your location and the service selected. With certain delivery services, tracking information and delivery slot selection may not be available. See product, basket and checkout screens for details relevant to your order. ***Select countries only. Please see the checkout to confirm which countries your order can be delivered to along with pricing. At Save on Laptops we make receiving your Laptop simple, which is why we’ve partnered with DPD Pickup. There are over 2,500 DPD Pickup shops in the UK, with a DPD Pickup point within 10 minutes’ drive of 93% of the population and 5 minutes’ walk within Central London. Your parcels will be delivered to your Pickup point Next Day by 12, so you can collect your parcels at your earliest convenience (Note - delivery Monday - Saturday). DPD Pickup has the largest shop network in London, with over 400 local DPD Pickup locations including Doddle sites at key railway stations. DPD Pickup is the smartest Pickup solution with the Sainsbury's, Rowlands and Numark pharmacy chains and Halfords stores providing you with the best in-shop delivery experience. To find your most convenient store simply enter a post code. Box.co.uk, First avenue, Minworth, Birmingham B76 1BA. Collection times Monday - Friday 9:00 - 17:30, Saturday 10:00 - 16:00. It is important to note that this is only a collection point. Click here for details on collecting from here.